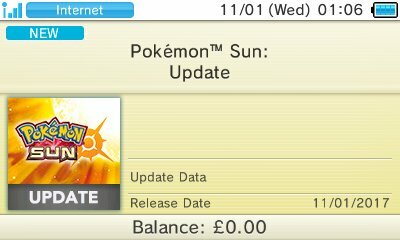 Like Pokémon X & Y, Pokémon Sun & Moon are on the Nintendo 3DS and are capable of patches and updates to the software. This is done through the Nintendo 3DS eShop and gives you a prompt. Fixed a glitch where the game would crash if an Evolution Item was the last item in your bag and was used.